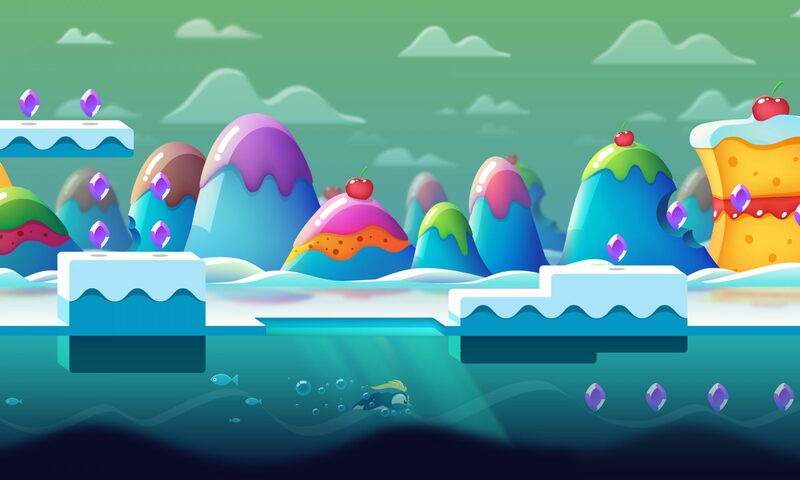 Tummy Games is small gaming company from Serbia located in city of Novi Sad. First game team released was Tummy Slide. Long lost ancient civilization that inhabited Earth millions years ago left buried under the ice magical Crystals that had power to heal the planet. With them they also trapped divine source of their own power into tiny guardians and called them Penguins, so they can keep a watchful eye and protect Earth and magical crystals. Magical crystals had an awesome power to freeze anything and keep water in solid form. But with rapid industrialization, factories and pollution started a global change and vast icy mountains began to melt, crack and break releasing many magical crystals. Obligated by their duty do divine creators, penguins picked their brave hero and charged him with a task to collect magic crystals to bring balance back to Earth.